Perhaps a few of us are guilty of not giving Force India due credit. Not that long ago when Vijay Mallya took over the team, and gave it its identity, it was back of grid fodder. Since then the team's year-on-year improvement has been a near-constant - only the minor blip of its 2013 results spoil it slightly. And continuing this the 2014 season just passed was its best season so far under its current guise, with a record number of points, its first podium finish since 2009 and equalling its best ever constructors' placing of sixth. We know that like Williams it benefited from the majestic Mercedes power unit (and in Force India's case its gearbox too), but the Silverstone squad still ran ahead of the far larger and similarly-powered McLaren operation for much of the season, only slipping behind with four races to go. As expected given the team's relative lack of development budget and resource, it slid down the pecking order as last season went on - a Force India bugbear. But this time it wasn't entirely down to that. Part of the reason for its early good showing was that it produced a solid - you might even say conservative - car with plenty of cooling. The team admitted this was a deliberate ploy so to ensure points in the early races, vital for a team of Force India's resource level. But that excess of cooling made the car harder to develop aerodynamically, especially at the rear. A big mid-year aero upgrade simply didn't work. The team's rather long-in-the-tooth simulation tools was considered one of the culprits too. The Silverstone team has a wider problem also, and has done for a while. That of where it goes from here. It stands just before the chasm that separates the smaller squads, usually customer teams with hand to mouth existences, from the 'big five' grandees ahead (the gap is such that talk of a 'big five' breakaway has burgeoned). Bridging that chasm will not be the work of a moment. 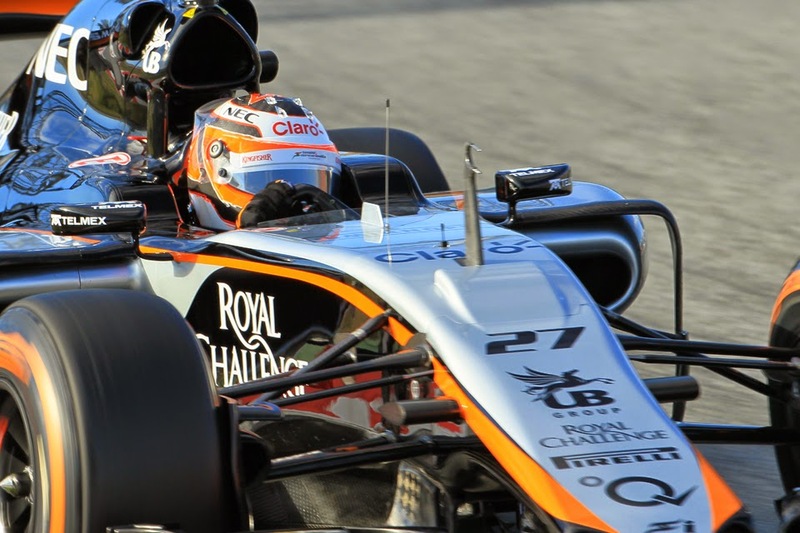 It feels, in another bugbear, rather like Force India is somewhere near the maximum of its potential. You can add to this peculiar matters too. Observers have been wondering for a couple of years or more the extent that the dramas of Mallya's other business concerns will impact negatively on the F1 investment. Last year moreover the money difficulties faced generally by teams in the bottom half these days became clear, and indeed it was Force India's Deputy Team Principal Bob Fernley that was about the most vocal on the issue. That Fernley's admitted recently to being in communications with Bernie Ecclestone about financial help doesn't suggest a team in rude health either. With this that the 2015 car missed the first two pre-season tests was interpreted as part of the same theme. For all that the team sought to put a brave face on it - Sergio Perez for one saying that running the old car with this year's tyres in Barcelona will give the team a unique grasp of how they differ - with testing time limited reducing it to two-and-a bit days before the season start proper rather than 12 cannot be a good thing. Fernley says the delay was related to a regulation change of having to switch to a single windtunnel, which they didn't have access to until 1st of January, as well as 'cashflow issues' exacerbated by suppliers being made more nervous by Marussia and Caterham's respective problems and requiring more of an upfront payment. But when the VJM08 actually ran it became something of a case of panic over. The car functioned like a watch from its get-go, and did 77 laps on its first day and 158 on its second. 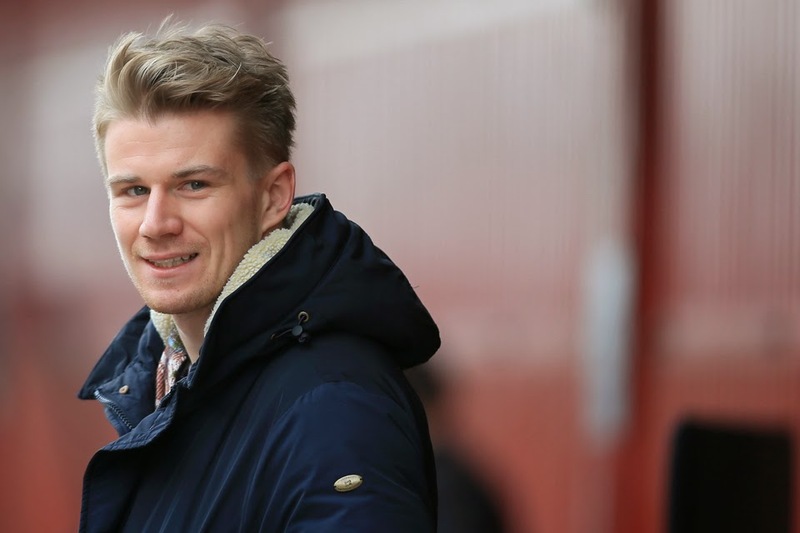 Driver Nico Hulkenberg reported no problems, that it provided a sturdy and familiar base to work from, but also that the reliability from the off was a surprise to the team. So in this sense the team appears to have gotten away with its late start. It remains to be seen though the extent that it inevitably being at a lower point of its development curve impedes early results. Perez admitted at the end of testing that the team is 'two steps behind'. In better news the team is investing. With Perez on board and the return of a Mexican Grand Prix this year it has been conspicuously chasing Mexican pesos, with some success as evidenced by Carlos Slim's Telmex brand appearing on the car at its livery launch...in Mexico City. It's been reported that it's all got the team an additional £20million annually. And the team has focussed on upgrading the development tools mentioned - its CFD capability has been doubled while it's also obtained access to Toyota's windtunnel in Cologne, something that technical director Andrew Green described as 'a significant step', that 'has really opened up what we are capable of achieving'. It will allow for one thing the team to move up to 60% scale modelling. The team's picked up a couple of impressive technical recruits too. It hopes that it'll all contribute to the cars sliding up the order as the year goes on rather than its usual sliding down. This time, possibly against the odds, it has once again produced what looks a neat and tidy machine, that should eventually have a decent chance of points. We can also as ever count on Force India being a hardy bunch of racers making the best of what it has, and benefiting from a strong and complementary driver pairing. If only it had more cash. It is true to say that at Force India in 2014 Sergio Perez steadied the ship of his F1 career, following his iffy opportunity knocks campaign, ending with a dumping, at McLaren. But the extent that he moved his reputation on is harder to say. 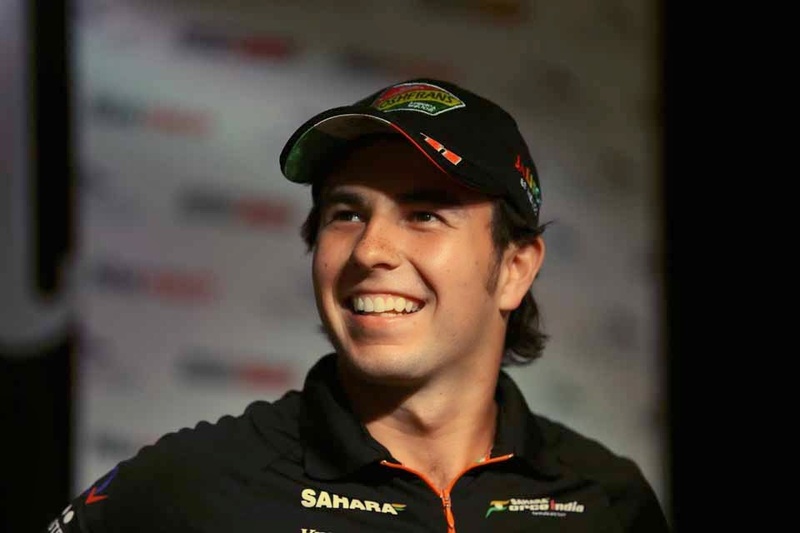 Much of what we've grown to expect from Checo - good and bad - was represented in there. In the credit column as seems to be his way there were high highs, not least in his excellent weekend at Bahrain wherein he finished third, or if you prefer first in the non-Mercedes class. As we've also grown used to he has a rare ability to be gentle on the tyres which allowed longer race stints, opening up strategy options. This aided a good result in Austria as well as a more general upturn for him in the second half of the season, wherein he tended to be the stronger of the two Force Indias. However the contents of the debit column were familiar too. There were a few too many off weekends, particularly in the first half of the year when Nico Hulkenberg tended to be well on top. This vast gap between the two before the summer break went a long way to ensuring he finished the season shy both on points and on the qualifying head-to-head. Equally there were too many errors. He crashed out in Hungary, collided with Adrian Sutil in Singapore while his collision with the same driver on Austin's opening lap was extremely clumsy. Then we had Canada wherein just about all of Perez's extremes were on show - he was excellent in getting up to second place on a long strategy, and might even have been able to challenge for the win without a battery problem. But then on the final lap he showed some misjudgement by veering into the challenging Felipe Massa's line, which at least contributed to the subsequent accident that ended both of their races. It's becoming difficult to know what lays next for Perez. For as long as his team's tendency to chase Mexican money continues (and another better Mexican doesn't come along) his seat will be safe presumably. And as things stand too he's a perfectly respectable midfielder, whatever his implications for commerce. But he needs to iron out his inconsistencies if he has designs on amounting to more than that. For the first time in his F1 career he's retained in a race seat for a subsequent season. But it doesn't at all feel like good news. Without intending disrespect to Force India plenty believe that Nico Hulkenberg's talent is such that he shouldn't be there. He should be employed by a team in the top echelon. And worse still for Hulkenberg we ended 2014 with the sense that his case for promotion had stuttered a little. Yes, on the face of it he had another campaign wherein he demonstrated that he's a driver not only very fast but consistent, safe and a tough racer. Over the piece too he trounced his team mate Sergio Perez by a large margin in Saturday and Sunday match-ups. So why the vague sense of drift? Probably it owes something to that all in he's also just had a season not quite as impressive as the one that preceded it, probably for the first time in his F1 career. It likely was a particular problem that his second and more recent half of the year was markedly worse than the first. It was explained by Hulkenberg's driving style being hard on the rear tyres, meaning he was less suited to the stretched out strategies the team more and more employed as the year went on. But even in qualifying he started to sink behind his team mate, which led some to theorise that it was in part related too to a strange hangover of his major misjudgement in Hungary, when he removed himself from proceedings by colliding with his stable mate. Still, he ended the year experiencing something like a return to form. Perhaps that the 2014 campaign contained a number of thrusting young bucks rising to eminence aided the creeping sense that the Hulk is becoming yesterday's man. All tremendously unfair of course. But no one said F1 career opportunities were fair. Thus he enters this season with his only hope being doing more of the same and wishing that somewhere, somehow an opportunity at a team worthy of his abilities will open up for him. But until now too he's had a maddening tendency of never quite being in the right place at the right time. That Hulkenberg is confirmed to race in Le Mans this year may indicate that he's now thinking beyond the F1 front-line also. As things stand there is a good chance he will go down eventually in F1 history as a fine driver who never got his proper chance.